Here you’ll find car repair help you can count on. My name is Mark. I’m a certified master auto technician. Thanks to the Internet, driveway mechanics can now get the help they need fast. This article talks about the different ways you can access the information you’ll need to fix your car at home. Sometimes the automobile can throw a curve ball at even the most seasoned Diy driveway mechanic. Refer back to this page when you get stuck and need some assistance getting back on track. Personally helping everybody with car repairs isn’t possible while turning wrenches 6 days a week and taking care of an 80 year old. This page covers reliable places to ask auto repair questions and find answers on your own. Find out more about me and the you fix cars website. The next link takes you back to the about us page, which currently is doubling as the homepage and offers additional auto repair help. There’s a lot of different ways to get help when you’re tackling car repairs on your own. However, owning a car repair manual can provide a lot of the basic and advanced information you will need. I’m not talking about one of the little guides that you find in automotive parts stores that only covers the basics. What I’m talking about is the service manual written for the specific vehicle and intended for the use by dealership level technicians. Although they write this information at a high level of understanding, these books include something that everybody can use. Service manuals help technicians solve complex problems by breaking them down into categories. Sometimes this information is referred to as symptom charts. These symptom charts guide you through the logical diagnostic steps to repair the given problem. In many cases only a basic understanding of auto repair is needed to follow these handy diagrams. With that said, your results will vary depending on the type of problem happening on the automobile. As an example a performance problem like a hesitation or occasional engine stall provides a challenging diagnosis to even the most skilled technicians. However, things like no start diagnostic charts are more straightforward and yield better results for all skill levels. Before taking my current job I would make my rounds to some of the most popular automotive forums trying to help people with their auto repair questions. I noticed a disturbing trend at these help forums. Some of the suggestions made me cringe. A lot of people dispensing advice might mean well but in some cases the advice was very poor and even dangerous. It was also very hard for the person who posted the question to pick out a quality answer from the 30 or 40 responses from all walks of life. Even though I have 30 years verifiable experience (linked on the footer) my tips were often ignored or disrespected by forum participants. For me this website venture is somewhat of a hobby at this point. I have recently put up a contact box so I can get some feedback about what subjects to cover in the future. If you ask a car repair question in this box be aware it may take a long time for me to respond. I wish things where different, but I have limited time to spend on the site right now. I like to spend this available time posting useful evergreen automotive information. In the near future I hope to be able to answer all submitted e-mail car questions. Note: I do belong to the just answers team. You’ll find me logged in a few times a week to answer some questions. So if you visit their site my handle is MasterTechMark. I may be posting a few answers for you. Remember that there is no risk to you on visiting the car repair help area. You can post questions and browse through the answers. They only request a payment when you receive a satisfactory answer. If you prefer to go it alone, I recommend you watch two posted videos about online technical service bulletins and auto repair manuals. My auto ac repair section is packed with helpful tips about common car problems with this troublesome system. Also learn how the 5 major components work together to cool your interior on my page about automobile air conditioning. I have gathered up the most popular DIY auto repair pages on this website and put them in 1 convenient place for you. 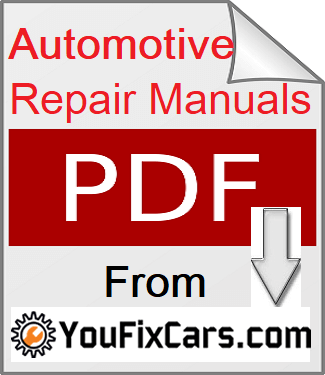 Review this next page for answers to the most commonly asked auto repair questions. 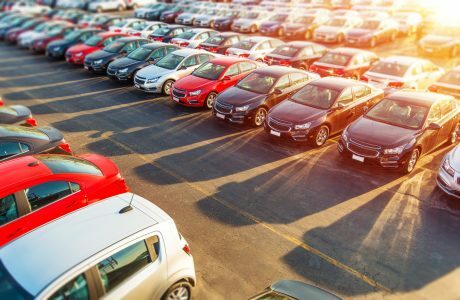 How would you like to get an auto repair estimate that includes parts and labor and compares Dealers to independent shops and throws in DIY Estimates so you can see how much you save by doing it yourself?